If you feel nauseous at breakfast, it could be because of the food, the time or a related condition. Feeling nauseous every morning for a prolonged period may also be an early sign of pregnancy. You can often prevent nausea at breakfast with a few changes to your morning meal and your routine. If your nausea makes you vomit regularly, develop a fever or otherwise feel weak and unwell, speak to a doctor. The much-praised "most important meal of the day," breakfast also comes at a sensitive time for some people's digestive systems. If you get up at dawn and try to eat a large meal straight away, it might not sit well on your stomach. Digestion slows down at night, so your stomach may not be ready to take on a lot of food first thing in the morning. Similarly, if you ate a large meal just before bed the night before, nausea at breakfast could be the consequence. Fatty, fried or strongly flavored foods at breakfast can be a recipe for nausea. 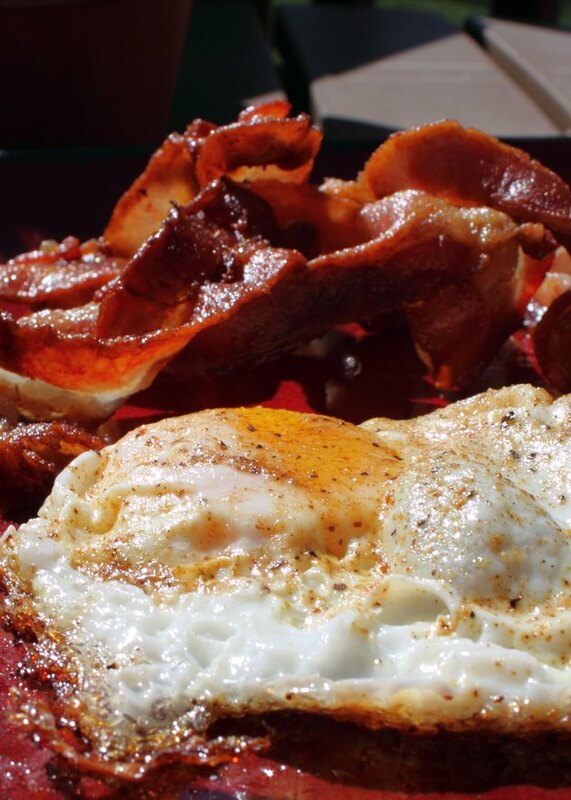 For example, bacon with syrup and eggs contains a lot of sugar, fat and protein. First thing in the morning, this could make you feel queasy. Opt for light, wholesome foods for breakfast. This might help you reduce nausea and get proper nutrition to prepare you for the day. For example, try whole-grain cereals, light yogurt, fresh fruit smoothies and low-fat protein sources such as hard-boiled eggs or wholewheat toast with peanut butter. If you're pregnant and feel nauseous at breakfast, you may have morning sickness. This affects up to 80 percent of all pregnant women to some degree, according to Health Services at Columbia. The sickness most commonly starts early in the first trimester and lasts until the 16th week. It's likely a result of all the hormonal changes going on in your body. This slows digestion and makes it more difficult to break down rich foods. You may find that eating plain bread or cereal settles your nausea better than a heavy cooked breakfast. Some drugs or treatments cause side-effects such as nausea and vomiting, especially around food. For example, some cancer treatments such as chemotherapy and radiation therapy trigger symptoms of nausea. These may get worse during breakfast when you smell cooked food. Other medications such as antidepressants, cough syrups or painkillers may also trigger nausea. Your doctor can alert you if nausea is a medication side effect, and recommend alternative drugs if available.